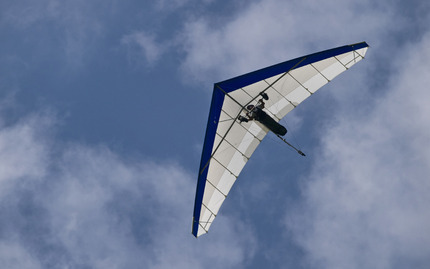 Learn to hang glide side by side with an expert instructor! This flight is designed to give you plenty of freedom to explore the sky and see beautiful country roll beneath you from a bird's eye view. You will get towed 1,000 feet into the air, and your instructor will release from the tow line in a special system designed to keep you both safe. Throughout the process, your safety will always be a priority with the USHGA expert tandem-rated pilot. Note: No experience is necessary. Weight limit is under 200 pounds. Kindly provide all the participants NAME, HEIGHT, and WEIGHT on the Special Request upon booking completion. Cancellations must be received 48 hours in advance for a refund. Otherwise, you are charged an $80 cancellation fee. 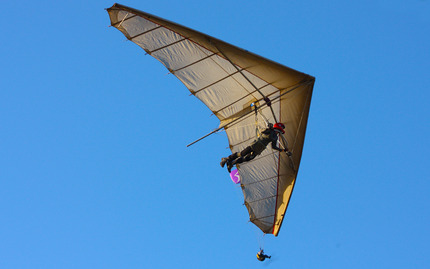 I felt super safe and got to fly the glider myself!